depending on computers more and more, it's important for students to learn how to use it to find information. The struggle I had when I first started teaching; however, was making sure students located safe websites. 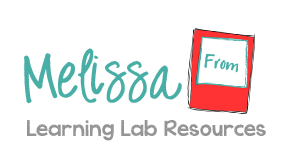 When I first started teaching in third grade, I used my classroom website to host links that I posted. It took me hours to compile these lists for my students because they were not all researching the same topics. Nonetheless, I did it because I knew the value of using the Internet for research and wanted them to have that experience. Two years later, I moved up to fifth grade and had the opportunity to have over a third of the students in my class that I had a couple years earlier. They were used to using the Internet, but because they were older, I wanted to give them a little more freedom. I sat down and found some great ways teachers (and parents) can provide students this freedom without having to worry about them stumbling upon something that is not appropriate or at a level too difficult for them. Safe Search Kids is a search engine powered by Google. It's very user friendly and even has a safe image search for students to find pictures. I like that on the right side of the homepage it has articles on Internet safety for children, teens, parents, but one downfall to this search engine is that it does contain sponsored posts and ads. When I did a search for Kangaroos, all of the search results I saw were safe and at a child level, but I also saw an ad for "Kangaroo Shoes" at Zappos as well as ads for video games. I also put Kangaroos into the image search and scrolled through a few pages without finding anything questionable. I'd suggest this website for students fifth grade an up, or if you feel comfortable with them not being tempted to click ads. Perhaps my favorite child-safe search engine is OneKey. It really does act just like Google, but it does a great job of focusing on sites that are child friendly and doesn't have any advertising! This search engine is perfect for older students or those that do a good job of finding information as if really give them a lot of options and provides a lot of results. KidsClick is a website designed for kids by librarians to offer kid-friendly search results. It works similarly to Google where the students have to enter the information they want to find, which results in a list of various websites. One thing to keep in mind is that you will get different results based on the terms they enter. For example, the search for 'kangaroo' and 'kangaroos' offers different suggestions. This search engine doesn't offer as many results as OneKey, but is perfect for those students who have trouble focusing. Because it only offers a few results, I have found that students waste less time going from site to site and spend more time reading the information. 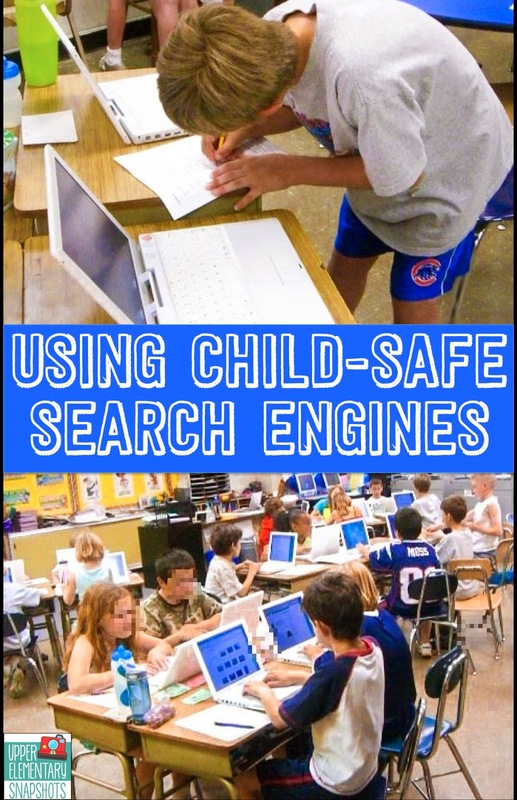 Using the aforementioned child-safe search engines are perfect for those times when you're doing class research in the computer lab. I've also found it useful when students come up to me in class and as if they can look something up on the computer. These three sites are on my classroom website, so all my students know that they have to use one of those to search the Internet. It has really taken out all of the worry on my end!